Single-ply cutter for cutting textile, technical fabrics, leather, plastics, fiber glass, carbon fibers, honeycombs, composite and special materials. Big potential of fast and flexible work with a wide variety of shapes. 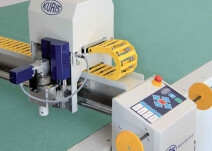 The single-ply cutter series of KURIS “CUTTY” is the fourth generation of proven and established single-ply cutters, completely revised and optimized. 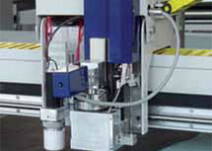 Significant is the individually optimized cutting head with programmable Z-axis, all targeted for a maximum productivity and optimum production quality. 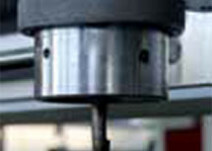 The tool technology can be adapted individually and precisely to the respective material and achieves always optimal cutting conditions. The fourth generation is equipped with the Multi-Flex Tool adaptation. 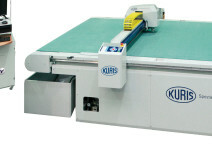 As a fast and compact single-ply cutter this system provides fast positioning and cutting speed together with an extremely short time of tools change. 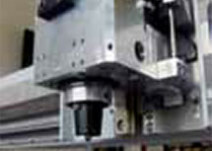 The tool-change system considerably reduces the set-up time considerably because less adjustment operations are necessary. The cutter achieves positioning speeds of up to 100 m/minute and cutting speeds of up to 70 m/minute depending on the type of fabrics. The user-friendly interface and menu navigation enables an easy handling. Operating errors and training costs are drastically reduced. 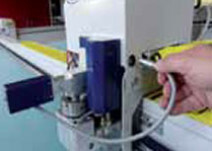 Even at high speeds, the system maintains constant and secure cutting. 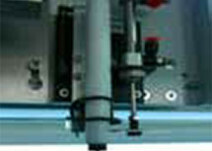 The mobile and innovative control system is very user-friendly. Working height: from 0,85 m.